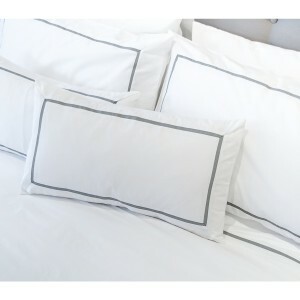 Buy pillowcases online for restful sleep. 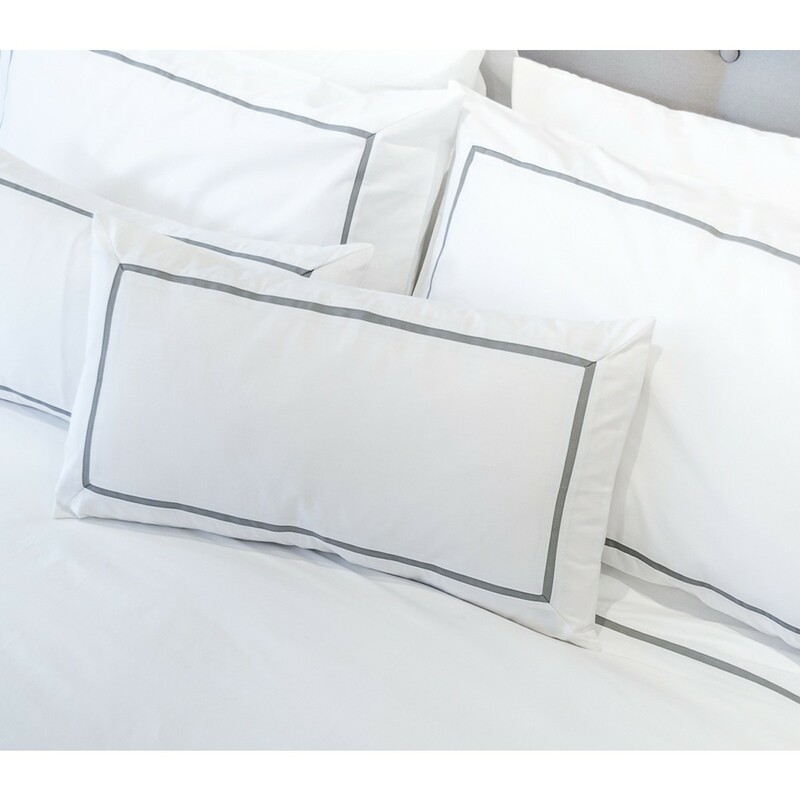 •These 100% cotton, luxuriously think pillowcases are soft to the touch. •They are crisp, white and inviting. 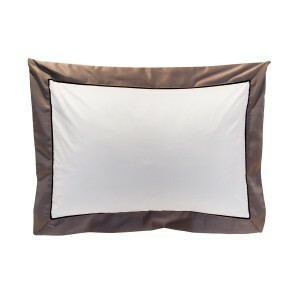 •Each one measures 75 cm by 50 cm to fit a regular pillow. 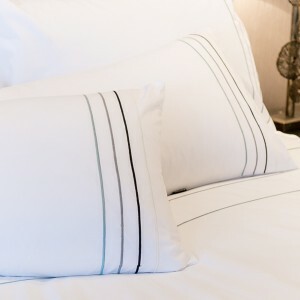 •The finely stitched stripe detail softens the shape of the pillow and adds interest. •For the flexibility to change your colour scheme, using natural accessories and dark wood furniture.